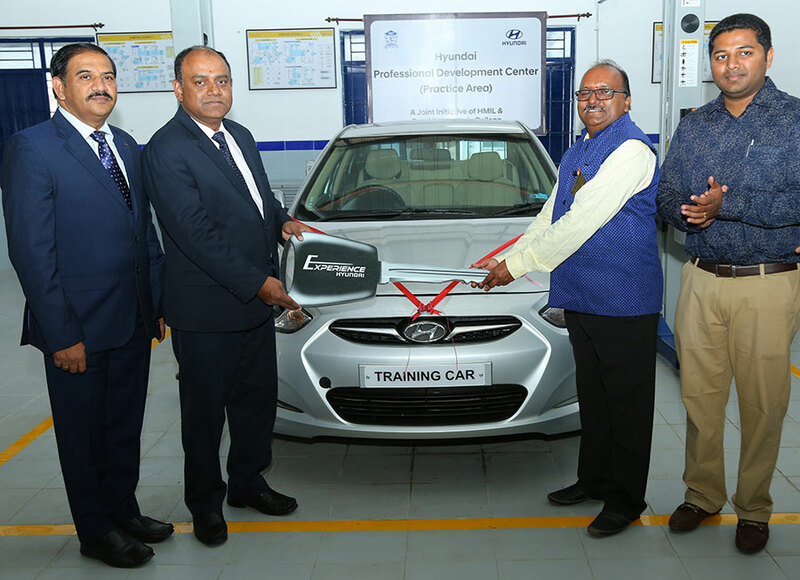 Hyundai Motor India Ltd., the country’s largest exporter and the second largest car manufacturer inaugurated ‘Hyundai Professional Development Centre’ at Excel Polytechnic College, Namakkal. We are very happy about this association with Excel Polytechnic College as Hyundai is a Responsible Corporate Citizen and advocates creating constant resource pool of skilled ‘Service Advisors’ for Automobile Service Industry. ‘Hyundai Professional Development Centre’ will expose Automobile trade students to modern automobile technologies thereby increasing the opportunities of employability and career prospects.